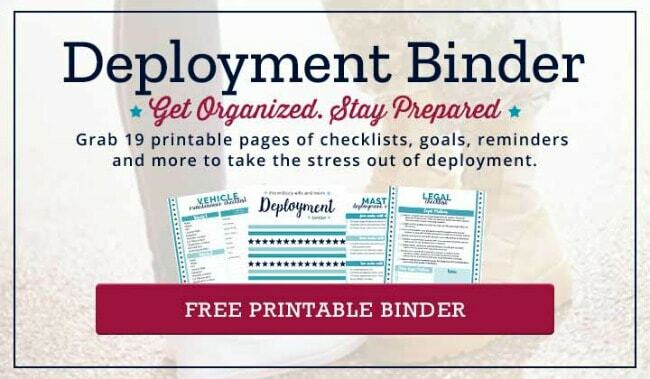 Inside: Looking for some encouraging words to share or inspire your military family? 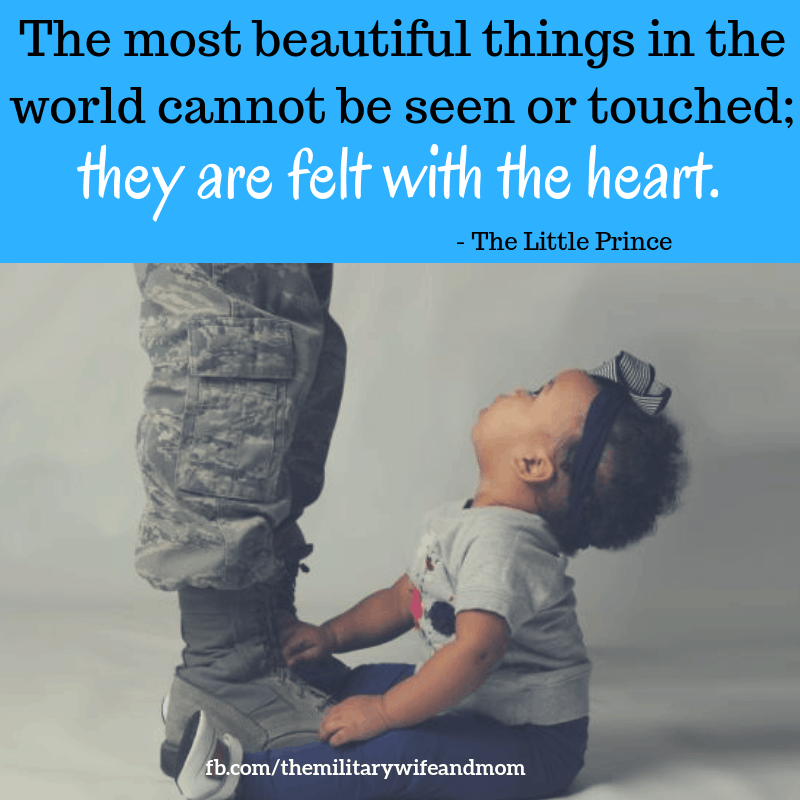 Check out these 19 inspirational quotes for military families. 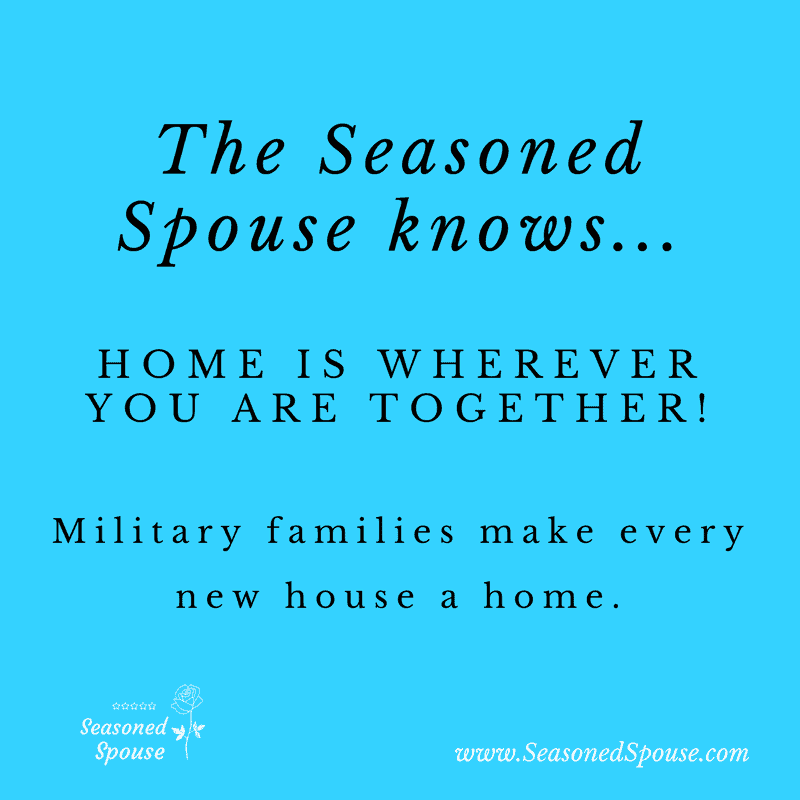 Part of me wanted to stay for every possible second with my husband before he left us for 7 months. 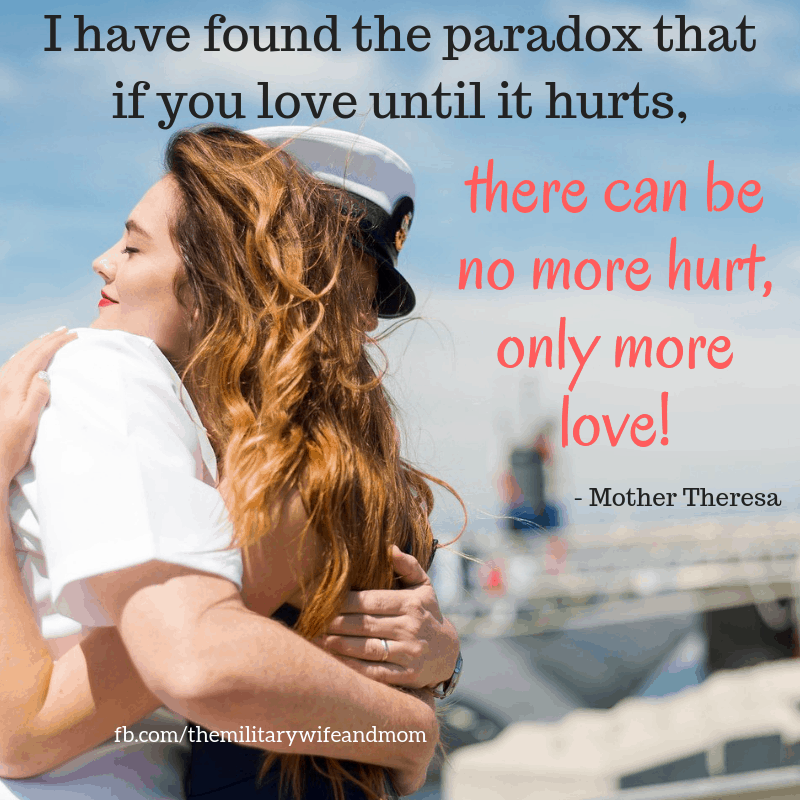 Another part of me wanted to rip off the band-aid and get the goodbye over with so that we could finally begin this deployment. I’d been dreading for the past half a year. 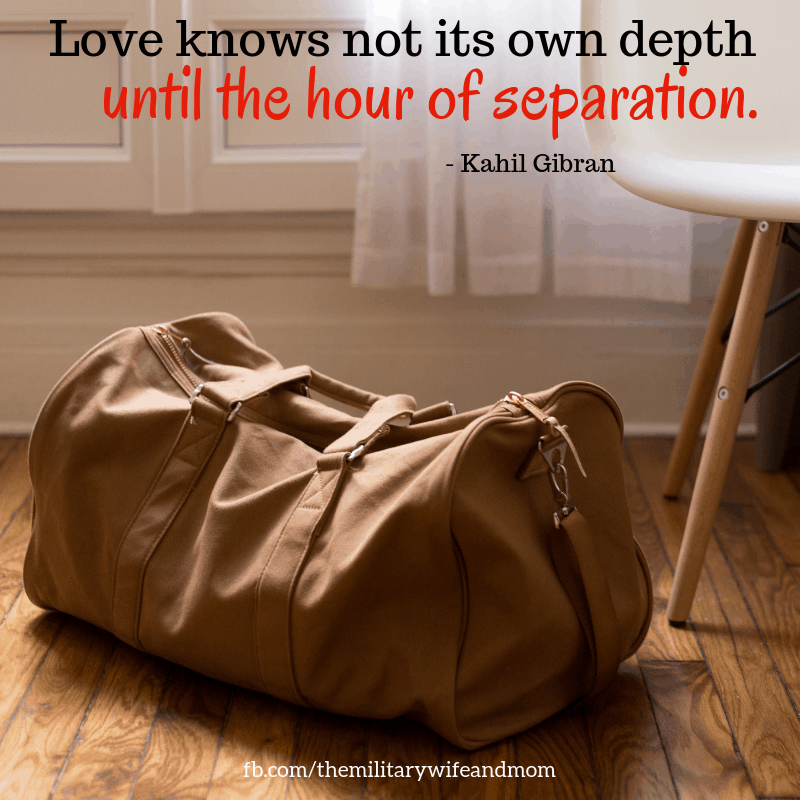 Every single part of me felt pain, frustration, and the deep ache that comes with being a military family. 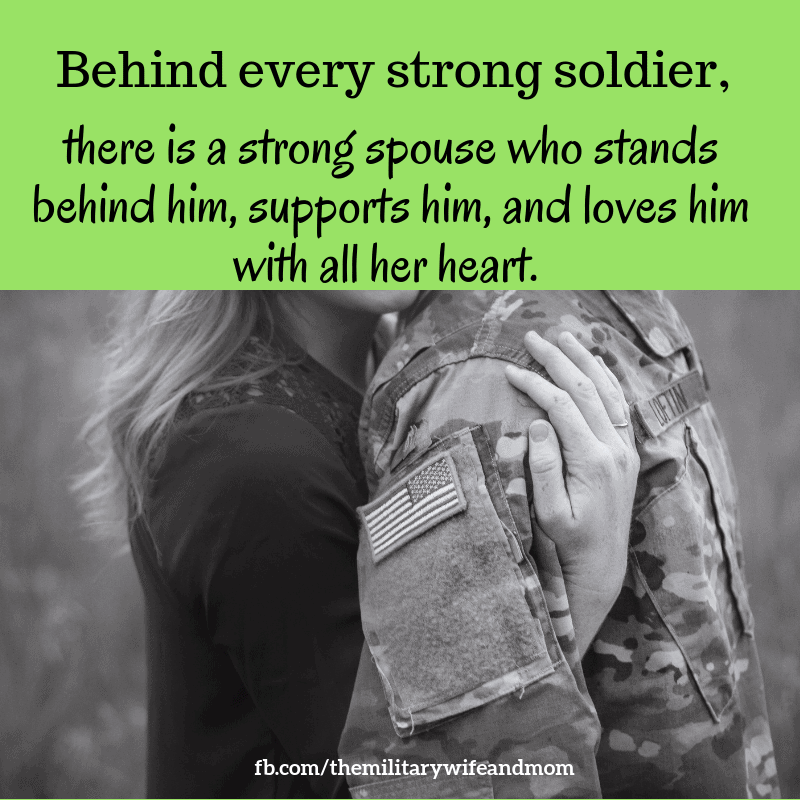 I’m a strong military wife. 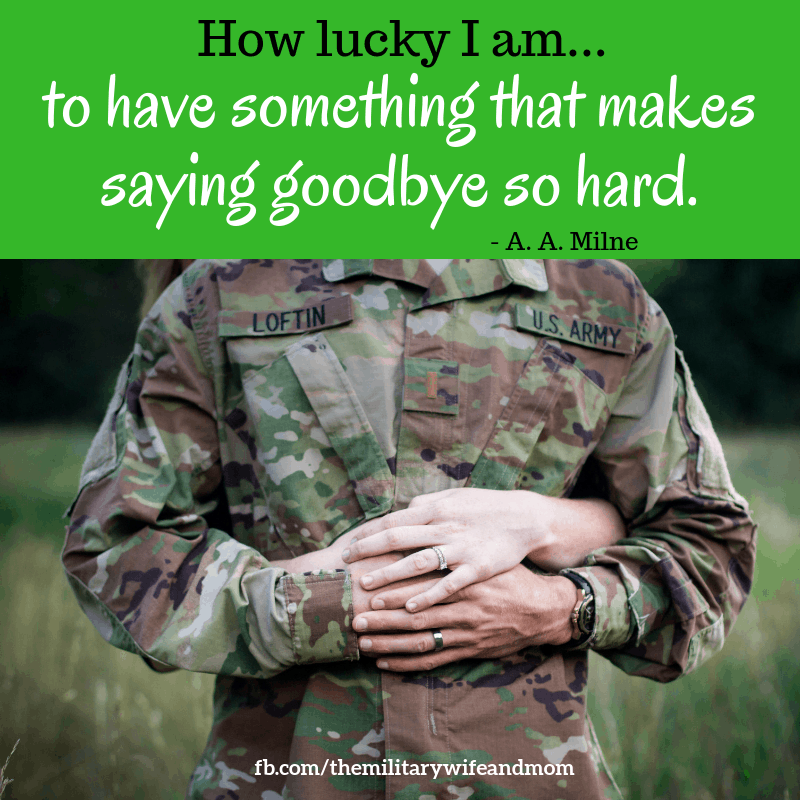 I smiled when I hugged and kissed him goodbye. 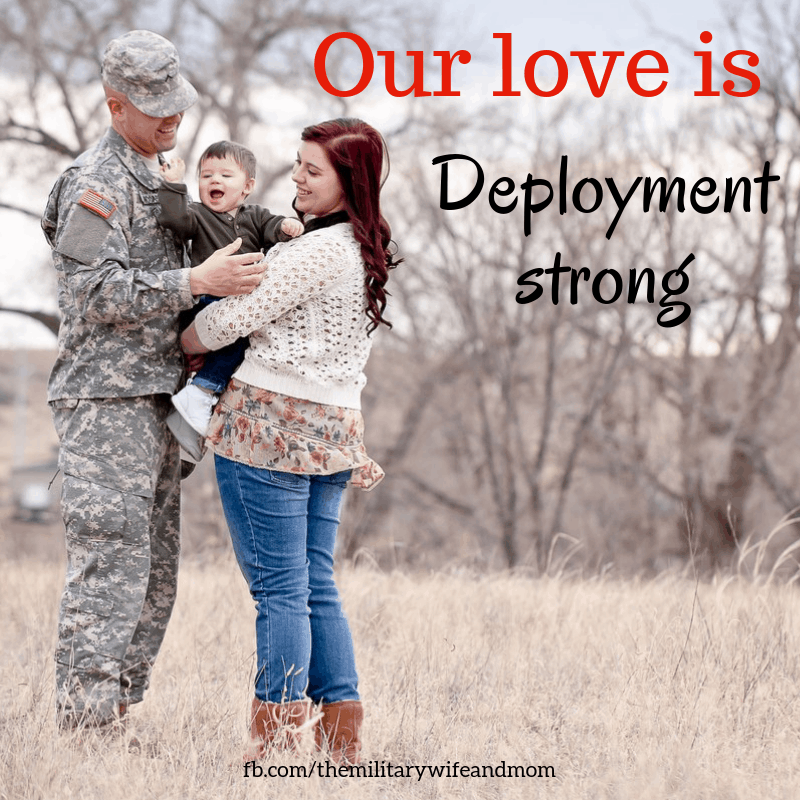 But I still cried as we drove away – foreshadowing the deployment meltdowns to come. 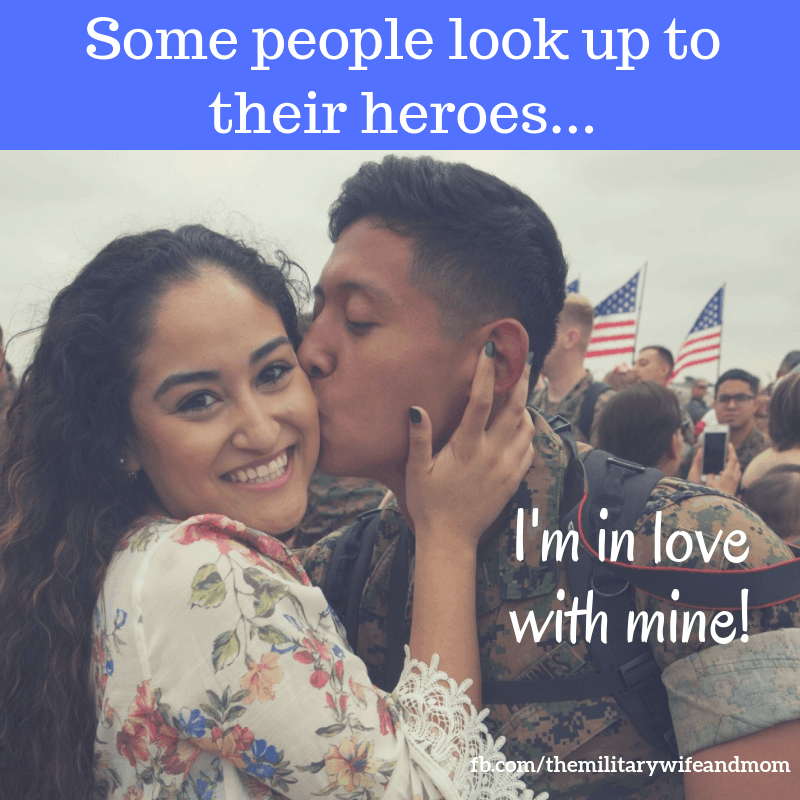 Military life can be full of ups and downs. 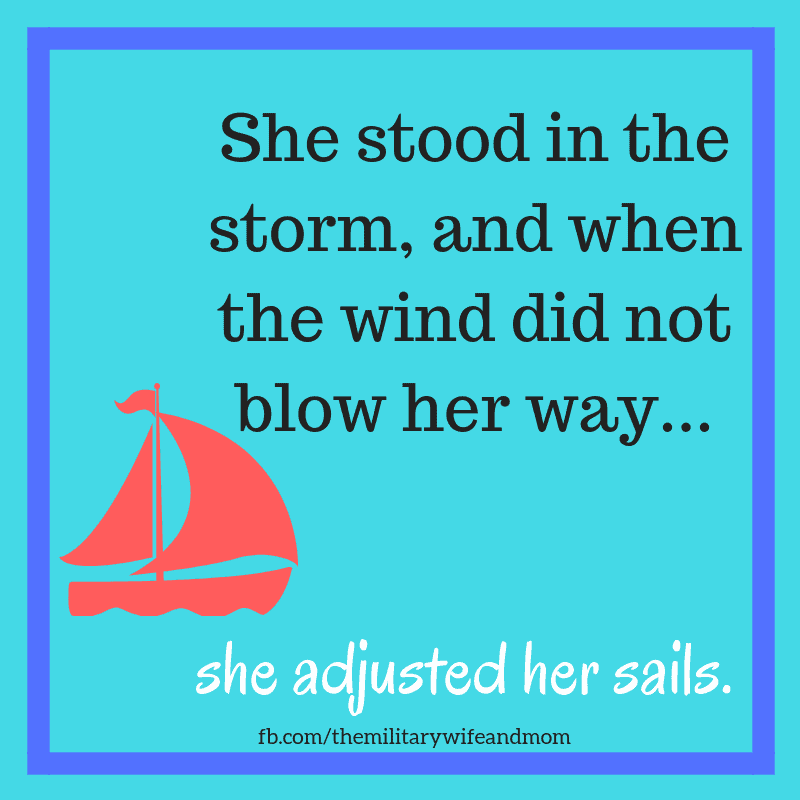 On the good days, you coast along, happy that everything seems to be going smoothly and under control. 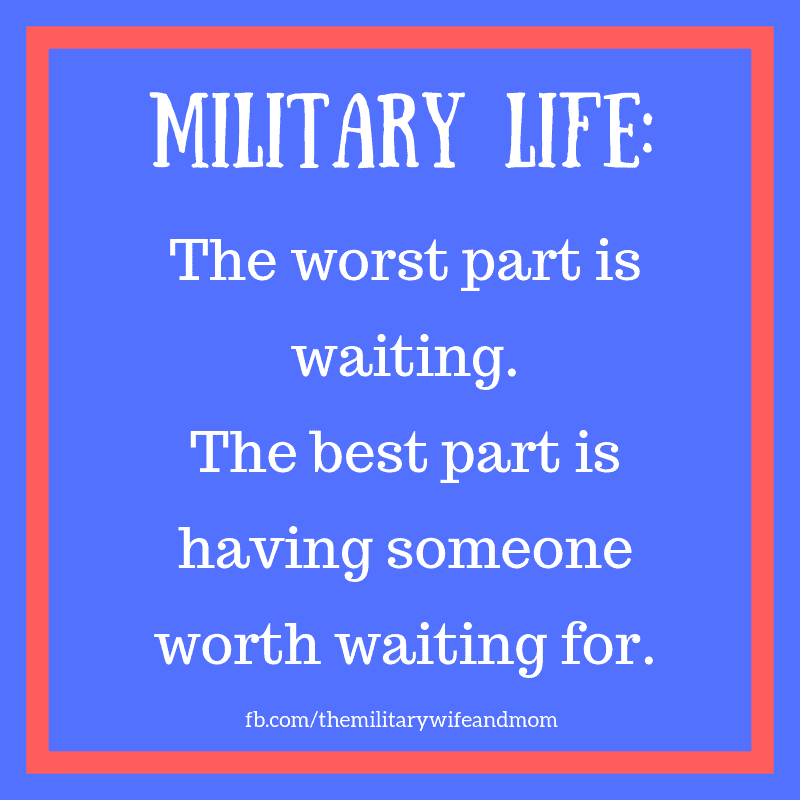 But then—sometimes out of nowhere—you get hit with a bad day that makes you fed up with military life. 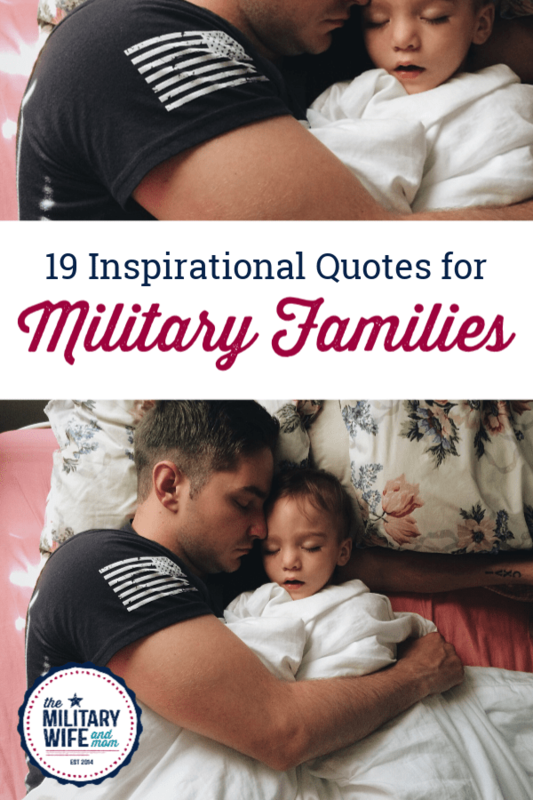 Whether it is the worry of a long deployment, the disappointment of not getting a desired assignment, the heartache of a good friend moving away, or the homesickness of not being able to visit family… we all need a little inspiration to get through the tough parts of military life. 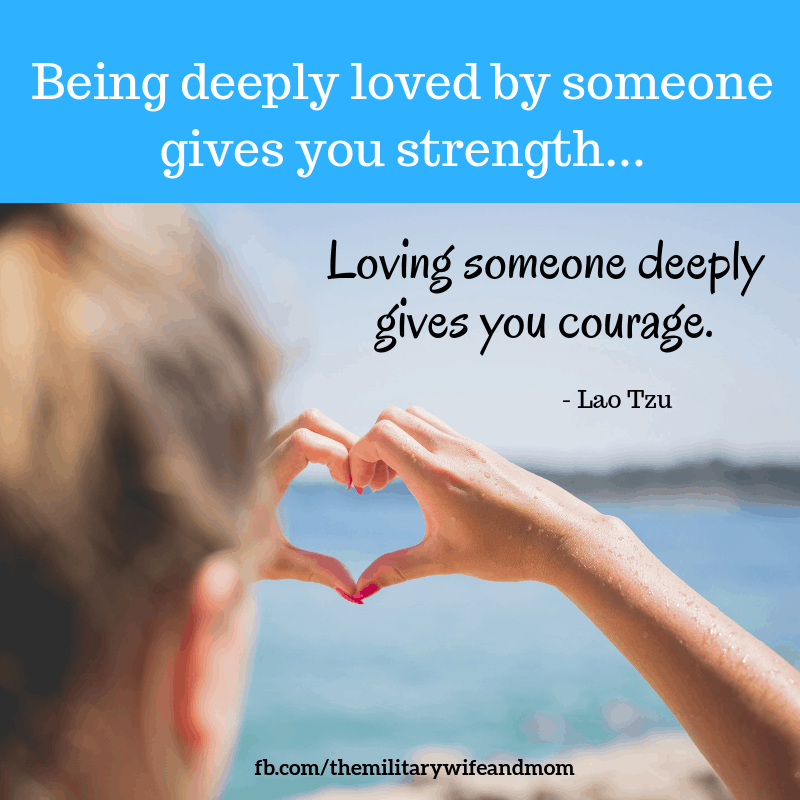 Pin these inspirational quotes or save them for later, to remind you that you have that strength inside you. 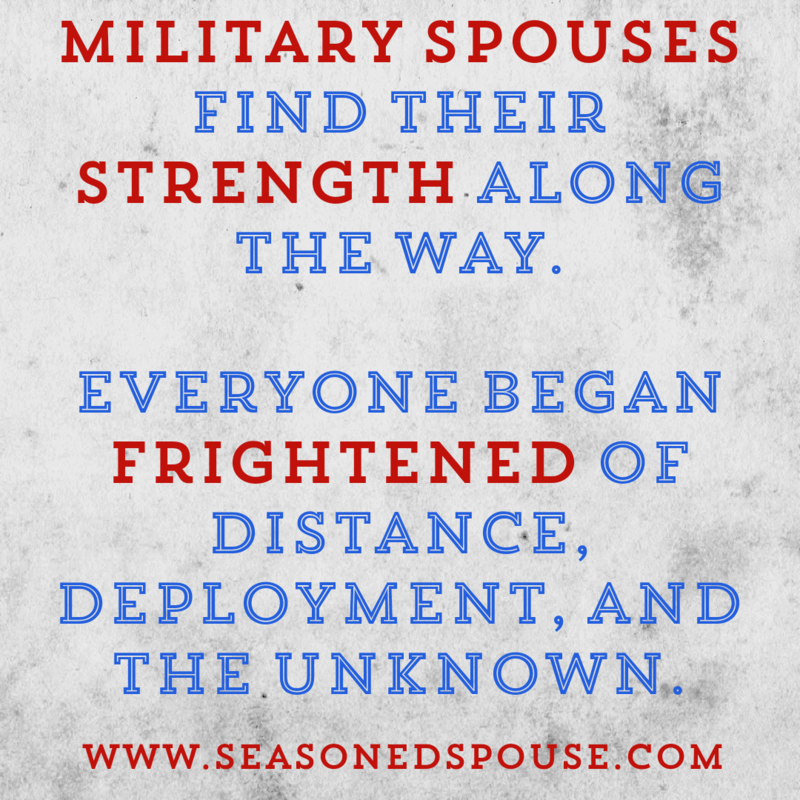 You can indeed get through the ups and downs of military life. 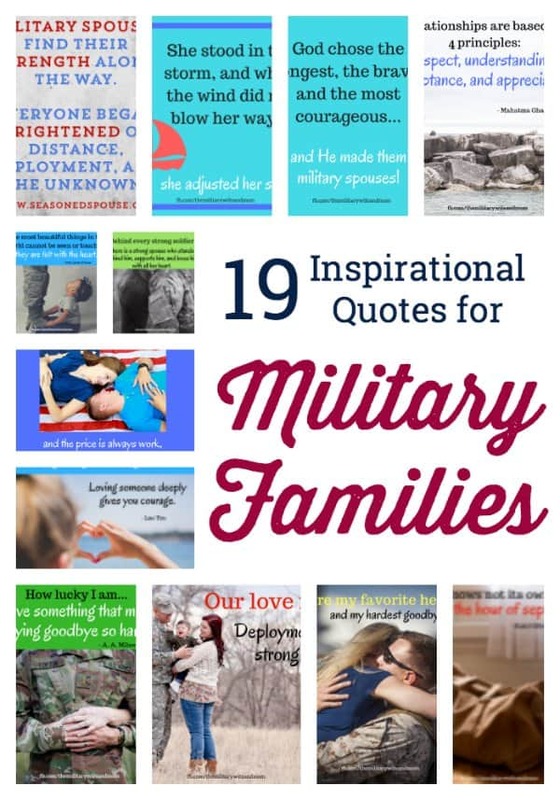 19 inspirational quotes for military families. You’re my favorite hello and my hardest goodbye. 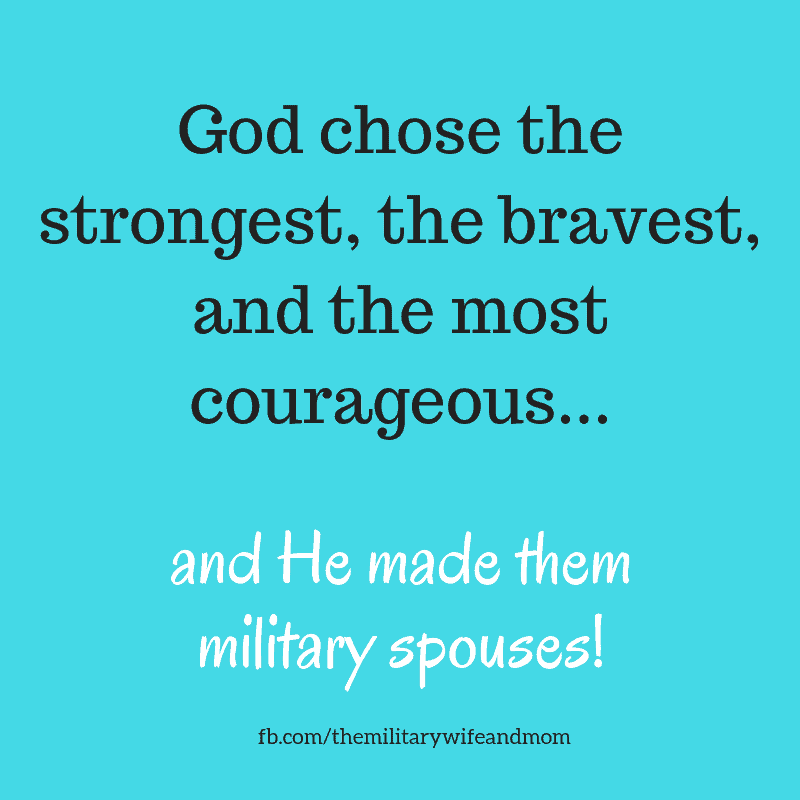 God chose the strongest, the bravest, and the most courageous… and He made them military spouses. 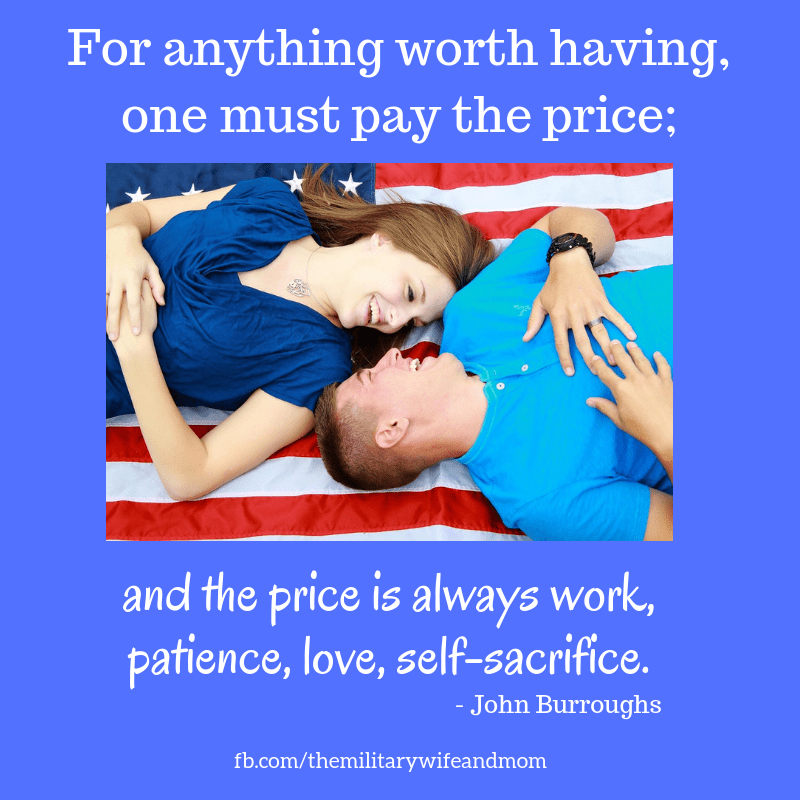 Want more military life quotes? 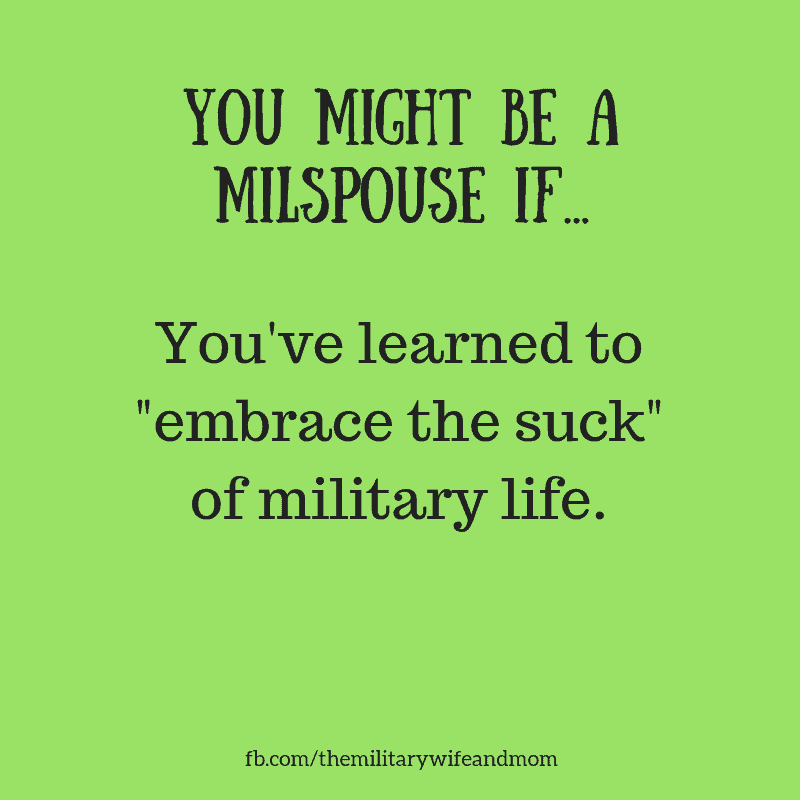 I didn’t really understand what that meant until recently. 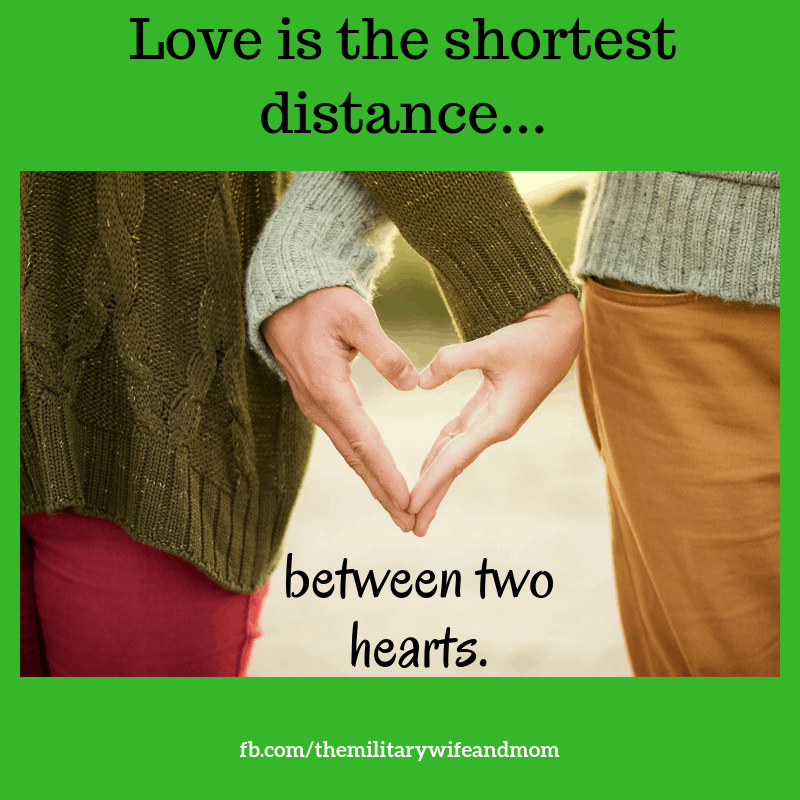 People have tried to explain the concept of “getting closure” to me. 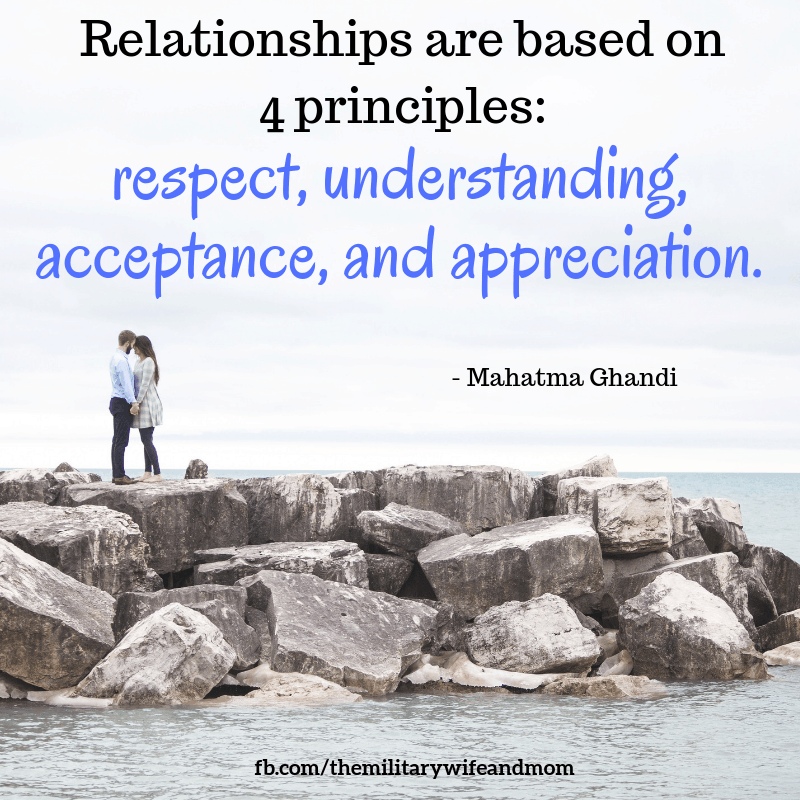 It’s supposedly closing the door on a relationship. 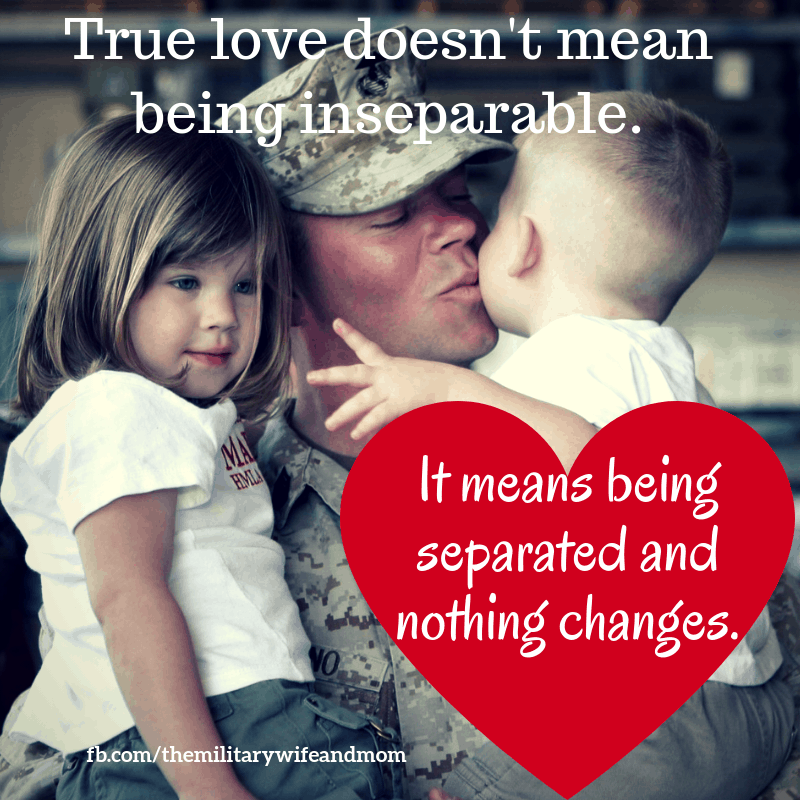 I know this isn’t your case, but it reminds me..